Maybe Bond starts out on leave and is sporting some stubble? Just a thought. Ok, so this isn't strictly a SkyFall image, but it relates. Whom does this picture bring to mind? Do we know when that picture was taken? For all we know, it's a file photo from six months ago. He's going to play SHREK? Nah, the nose is too big. It's attached to an interview from yesterday - but that in itself doesn't mean much about the picture. He'd make damn fine cat lover. Damn fine. I think people are reading too much into talk of Fiennes-as-Blofeld. If the newspapers can be wrong about Naomie Harris as Moneypenny, why can't they be wrong about Fiennes as Blofeld? I find both rumours equally hard to swallow. He doesn't have to start out like that; could be midway into the film but they have to film it first due to the time it takes to grow. That's kind of the point that I was trying to make - the newspapers reported both stories. They got one of them wrong, so why can't they be wrong about the other? After all, where there's smoke, there's fire. That Ralph Fiennes is playing Roger Moore's Aunt who is tall dark and handsome? The Blofeld stuff comes from people’s interpretation of what John Logan said at the BAFTA script lecture – probably reading too much into an off-the-cuff remark. No newspaper, to the best of my knowledge, has claimed any inside information. Any chance we see a photo from yesterday's shooting ? If somebody had them, do you think you would have had to have asked for them? They certainly would have been posted by now. If not here, then probably somewhere like Just Jared or AICN. Evidently, there is nothing from the shoot to date - just reports that the shoot is taking place in Southward near the ITV Southbank Studios. No doubt the whole place is in lockdown. I'm by no means saying he is Blofeld or that he's shaved his head in preparation for that. The whole speculation could very well be utter tabloid rubbish. The winks and nods you could interpret from the press conference (the secrecy, the lack of clear denials) may well be more to do with Q or Moneypenny, or something completely different. 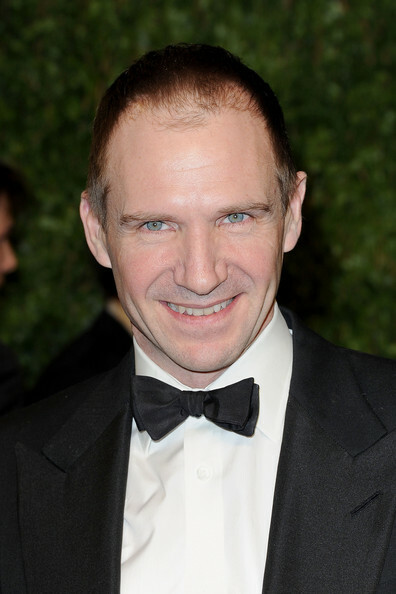 However, if they are bringing Blofeld back, perhaps in a FRWL or TB/NSNA fashion, with Mr Fiennes doing the honours, with bigger roles to come, then I think they've hit the jackpot and I for one will be a very happy bunny. Of course it's a shame he's been in those kiddie movies, but, hey, at least he was barely recognisable. You may get something over the weekend, though. The KPMG Thames Clippers are reporting traffic disruptions and controlled navigation. The affected routes are all in the same area, around Blackfriars Bridge - and with talk of fliming these scenes taking place near Smithfield Markets, Blackfriars is the most direct route from Southwark to Smithfield. Of course, the Thames Clippers don't specify what is filming, only that filming is taking place. but was Craig shooting yesterday or he will start on monday? Edited by michallo_w, 04 November 2011 - 06:55 PM. For God's sake. He is a terrific actor, he is physically perfect, he has a strong voice, and... HE PREFERS NOVELS TO THE FILMS !! Ralph should have been James Bond, not a James Bond villain. What a waste. He said, they start today - yesterday. He should know..
1. Craig still looks to be in top form. 2. The producers are still invested in making quality films whilst they've got Craig around. 2. We get a few press conference photos and we're already feverishly dissecting the moral and political implications of Craig's five o'clock shadow and Fiennes' scalp; notably, how they both represent a broad discourse for changing trends in the context of social and economic relations in both the modern world and contemporary British cinema. ...I propose a thread that investigates the moral and cultural repercussions of Bérénice Marlohe's choice of nail polish. Discuss. Just be warned - one is equal parts spoiler and nastiness. Wow. Bond films aren't generally so... detailed. Looks to me like a Glasgow smile. Whoa. That is pretty gruesome for a Bond flick. Think we need a spoiler thread soon. Looks like The Joker's father is at it again. Or it's self inflicted. It's certainly a graphic and confronting image. Think we need a spoiler thread soon. Maybe the mods can stick SPOILERS in the thread title. Or create a SKYFALL spoilers subforum, the way they did with QUANTUM OF SOLACE. We'd probably need a policy on keeping spoilers out of thread titles, too; while I doubt any of the regulars would spoil the film like that, new members might not be so aware. Someone commented the other day that both Craig and Bardem looked very tired. And his beard here looks a little furry; it's certainly thicker than it was at the press junket. Since we know that an attack takes place in London, perhpas this isn't smiply Craig being worn out after a final push before the start of filming, but something that happens in the story - Bond gets a few sleepless nights.